This year I have read lots of interesting posts on makerspaces and I think it is time for us to just jump in. I love the idea of creating spaces at school that encourage kids to be creative and innovative. From the little we have done so far it is amazing to see how engaged the students are when they are given the opportunity to innovate. We started out with one piece – a 3D pen. The pen can make all sorts of 3D shapes, the design of these shapes is limited only by a student’s imagination. Yesterday, one of the grade 4’s showed me a fishing rod she made with the pen. The primary students were fascinated by this creation and immediately wanted to know when they could try it out. our first ‘maker’ tool – a 3D pen! 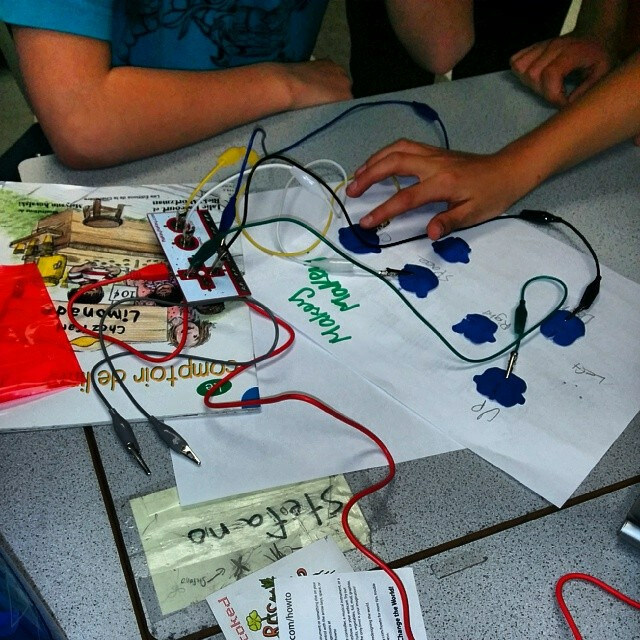 We then purchased a bunch of Makey Makey kits. These were an immediate hit with the junior students. They were totally caught up with all the different things they could try out with the kits. The students catch on very quickly and are quickly inventing new ways to use the kits for a whole variety of purchases. It is really interesting to see what can develop from the use of these kids. One of the grade 4 students remarked to his teacher that because of the kits he had experienced a great day. When asked why he said that he felt valued in the class because others were asking him how to make the kits work. 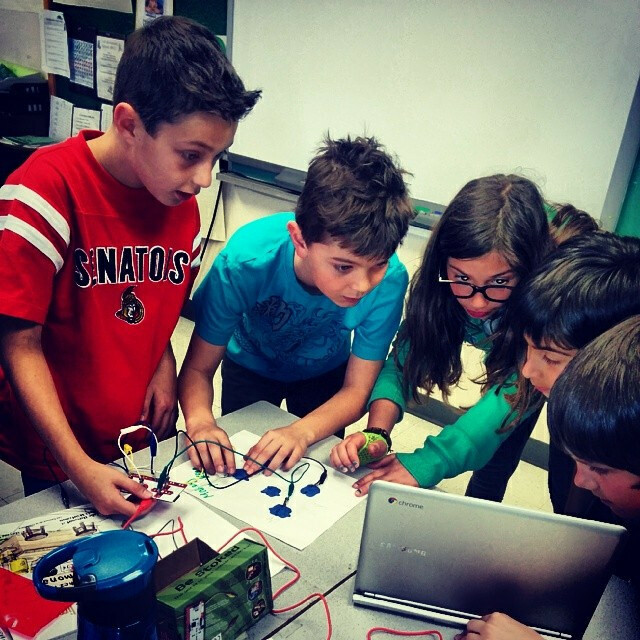 Our makerspace is portable so we are now moving it from class to class – today the grade 5’s get to try it out. They were already asking when they would get a turn with it yesterday. We have added two chromebooks to the space and today we added two Spheros to our collection. 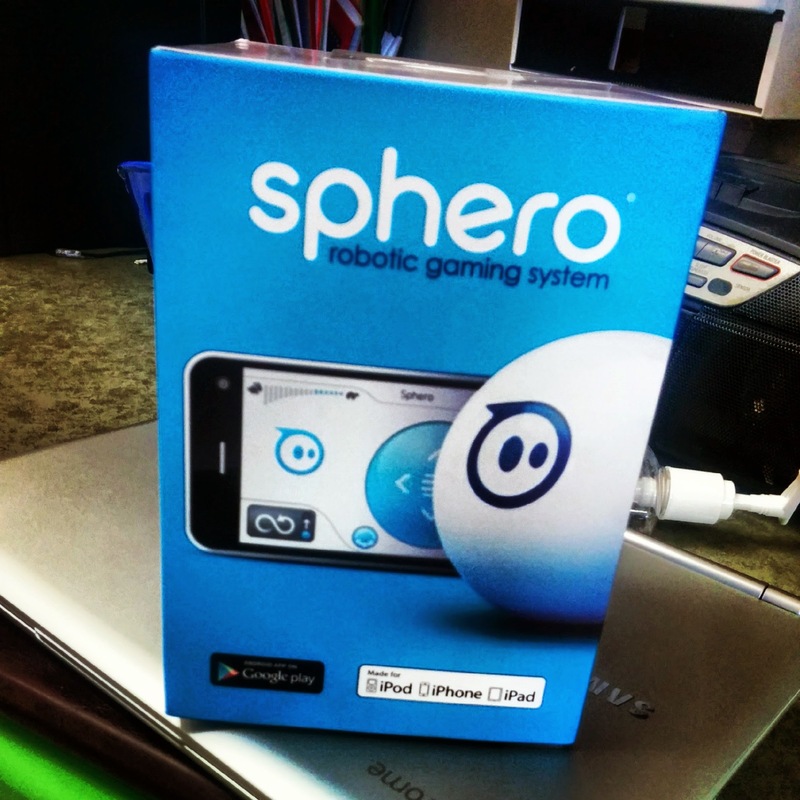 The Spheros will allow students to develop some programming skills for the two sphero ‘robots’ that we have purchased. The grade 4’s have already started to research how they can use this new tool. We also plan on picking up three littleBits sets. These sets will allow students to create with circuit boards and craft materials to make new creations. The terrific thing about all these new tools is that it squarely puts the students in the driver seat. They are able to use their imagination to explore new inventions. This is very exciting for the teachers who are experimenting with the kits. They see the value in using these new tools as a way to encourage their students to try out new things. Ultimately, we hope to get a 3D printer to complete our makerspace. With help from community partners we should be able to get one soon. We don’t have the funding for this machine, but we have developed a crowdfunding proposal that we hope will allow us to raise the money we need to get one of these printers. What will be the end result for our students? The sky is the limit! We are all very excited about the future of our new space – who knows where are students will go with their new inventions. I love it! This is so exciting – creativity, problem-solving, collaborating – wow! By the way, several of our high schools have 3D printers….